about a man who spent his time with spotted eagles when he was lost on the hunt. 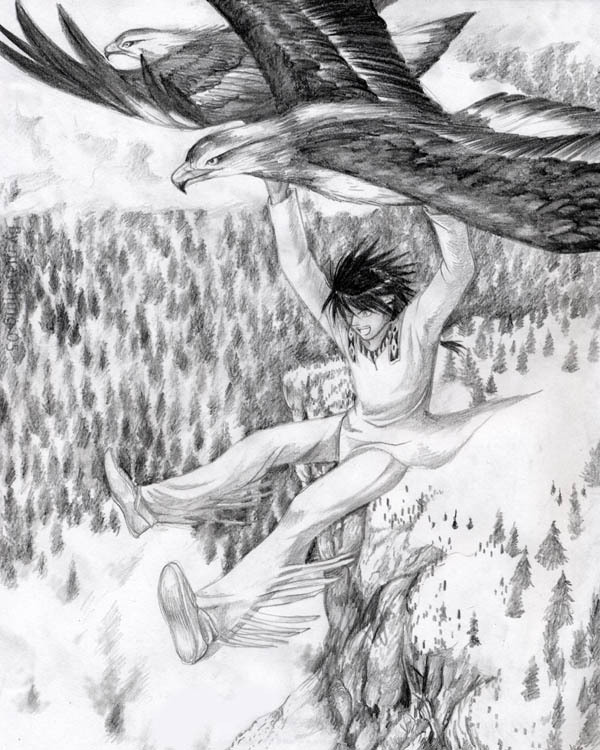 He tied two eagles to himself, and they lifted him off to safty from the cliff. I believe that would be quite an experience.